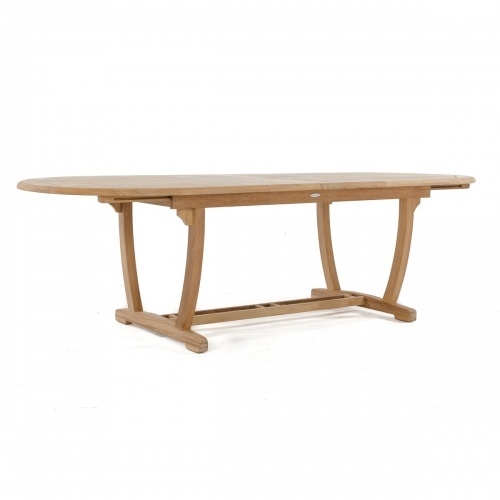 The Montserrat teak table has a sense of refinement with an understanding of functional requirements. 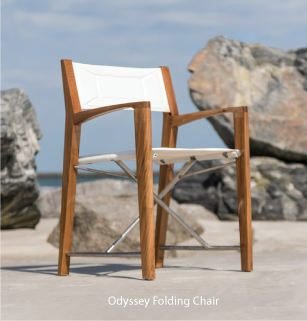 The soft flowing lines of the bowed leg design add grace and stability to beauty. 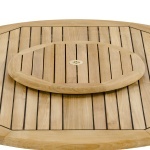 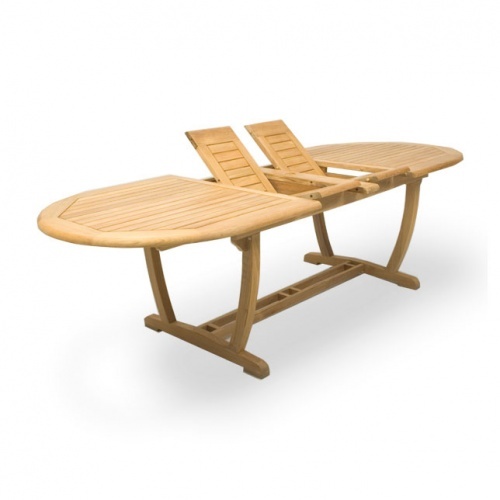 In the closed position this teak table is a small oval design which can be extended as need with the two butterfly leaves which are concealed in the table. 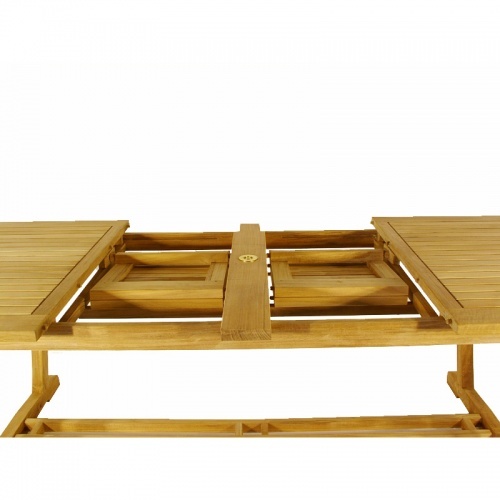 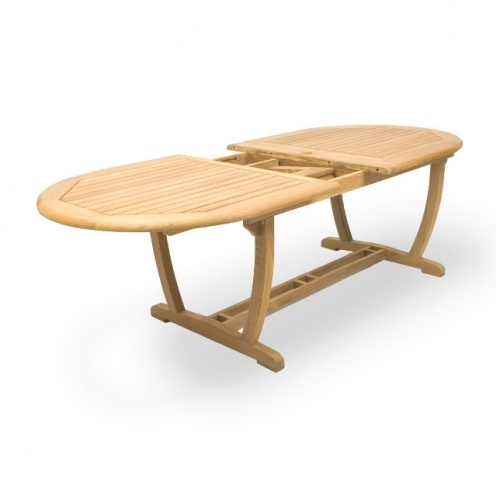 While the design is durable for the outdoors this teak table echoes the warmth and beauty of its interior counterpart. 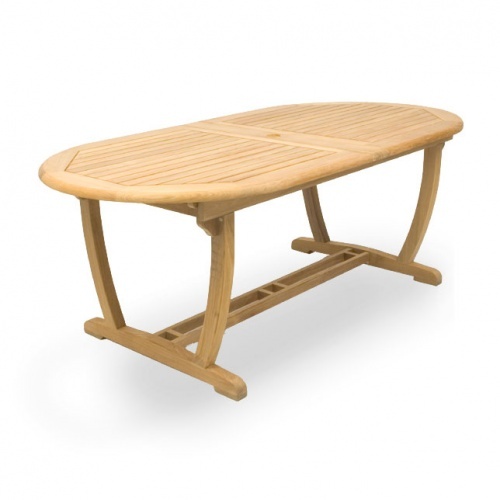 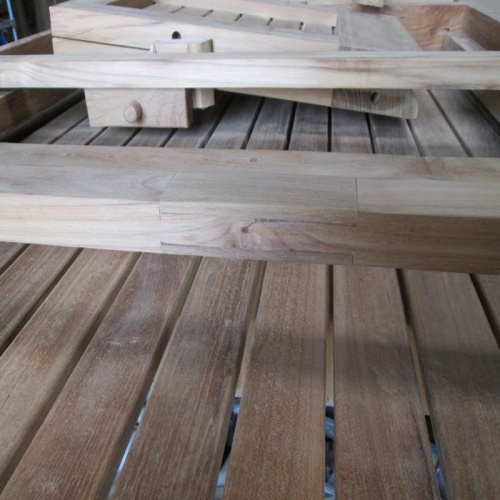 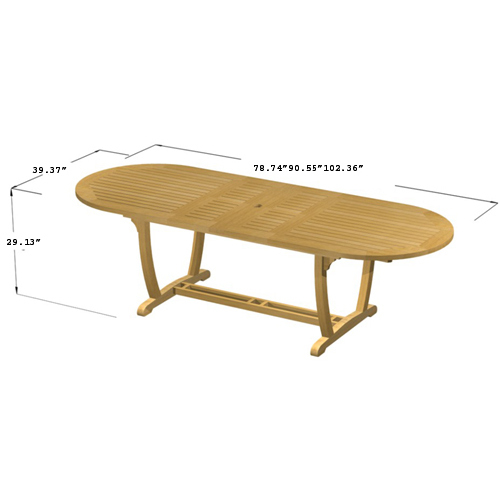 The Montserrat teak table is made from premium grade grade A teak from renewable plantations. 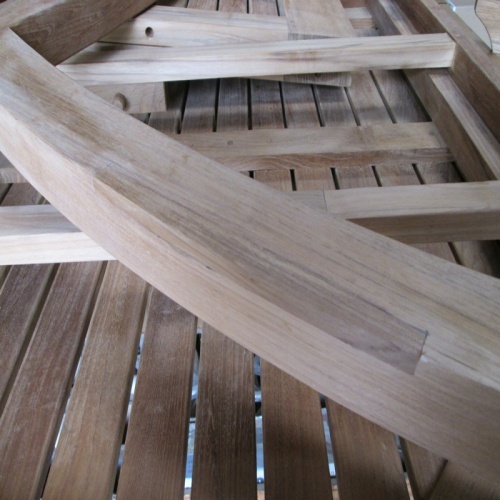 Matches all standard height Westminster Teak Dining Chairs. 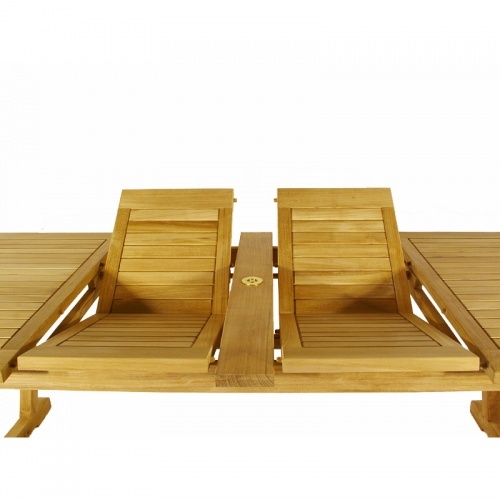 Accepts Teak Umbrella in both extended and non extended positions.